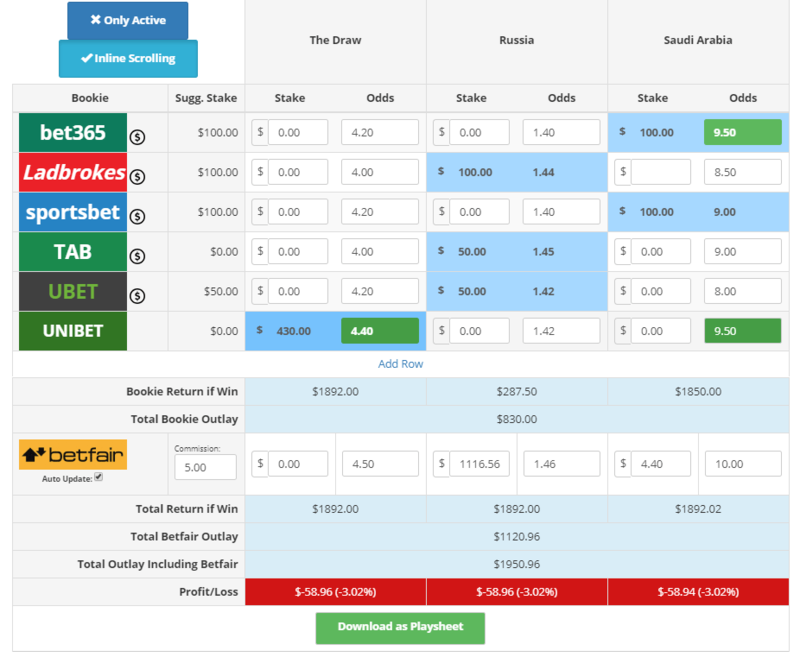 Simple matched betting method to cash in on a favourite winning their world cup games. 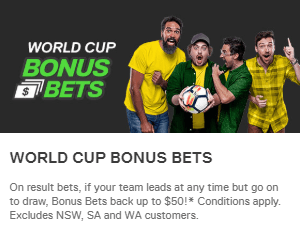 Ensure you're taking a qualifying cost for less than $5 when backing and laying the bet. Very Low risk, ensure you place both your Back and Lay bets. Alternatively, you can dutch the offers against one another. This means that you can have a go participating in several promotions. By playing the bookies against one another it reduces your qualifying costs. Therefore, you're putting more +EV in your pocket. You can access our dutching calculators which are pulling in live odds from all the World Cup games and many other events by going to the offer calendar.